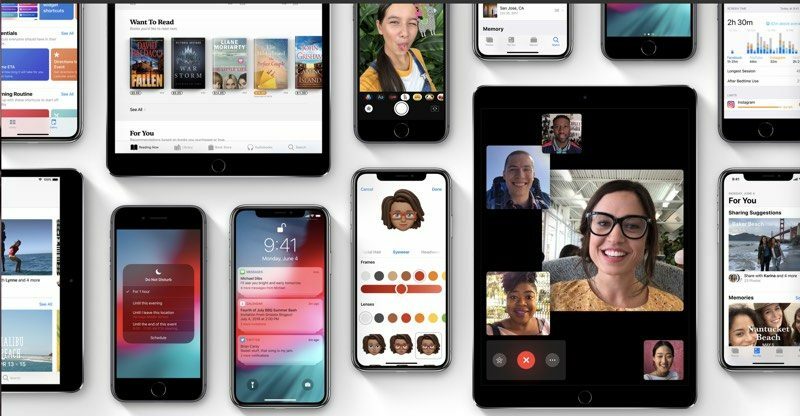 Apple is today seeding the first beta of an upcoming iOS 12.2 update to its public beta testing group, a few days after releasing the beta to developers and a week after releasing the iOS 12.1.3 update. Beta testers who have joined Apple's beta testing program will receive the iOS 12.2 beta update over-the-air after installing the proper certificate on an iOS device. The update will become available right around 10:00 a.m. Pacific Time or 1:00 p.m. Eastern Time. iOS 12.2 expands Apple News to Canada for the first time, with Canadian iPhone and iPad users able to access news stories in English or French. The update introduces infrastructure for AirPlay 2 and HomeKit on third-party TVs, and it brings a redesigned TV remote in Control Center. The update also includes some tweaks to the Wallet app, new addition to Safari, changes to the Downtime feature in Screen Time, icon tweaks, and more, with a full list of the new features available in our iOS 12.2 tidbits post. The iOS 12.2 update will likely see several rounds of beta testing before it launches to the public. Seriously!!! WTF is the holdup with Dark Mode on the iPhone and iPads! And still no European Apple News rollout after four years. That's just grand. To add to that, the display devices at Apple Stores in Berlin, Amsterdam etc. all feature an Apple News widget by default, even though the local market doesn't support it. That's pathetically misleading marketing and I wonder how come nobody has addressed that yet? Please fix the horrible LTE issues with the new XS phones !!!! Because if I’m at bottom of the app I don’t want to scroll to top then refresh. No it doesn’t auto refresh, only when app hasn’t been opened in a while and the OS has closed the app. Not true. If you are at the bottom of the feed when you exit the app and then later open it again before the OS has closed it there are two options to get what you want. Tap the today button and it zips to the top. Or it auto-refreshes and puts a "new stories" label at the top. Tap it and it goes back to the top and everything is refreshed. I just did it after putting my phone down for 5 minutes after initially opening the app. The app was still in memory. I was at the bottom of the feed. It refreshed on its own and displayed the new stories button at the top. Tap and I'm back at the top and it has been refreshed. The dark mode is more for the OLED camp. With true black not using power, it could generate longer battery life if applications and/or OS supported it. When i open the app it doesn’t auto refresh, so it’s useless to me. I don't understand why that's an issue? Just swipe down. But for the record, it does indeed auto refresh. I just opened it to remind myself and sure enough, it did.